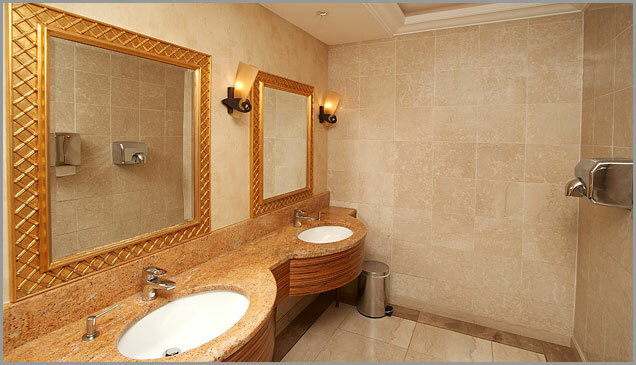 Photo Details: The Kashmir gold vanity in this bathroom provides an elegant focus for this space. The geometric lines of this room are beautifully underscored by the sleek brown granite that covers the floor and walls. The edge of the floor is set off by a brown tile, which mimics the lines of the crown molding above. 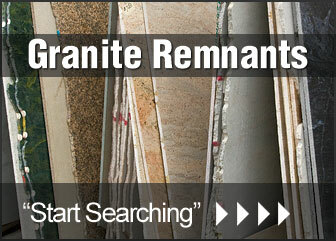 The darker golden brown of the Kashmir granite is a wonderful contrast to the white sinks that sit below large mirrors. 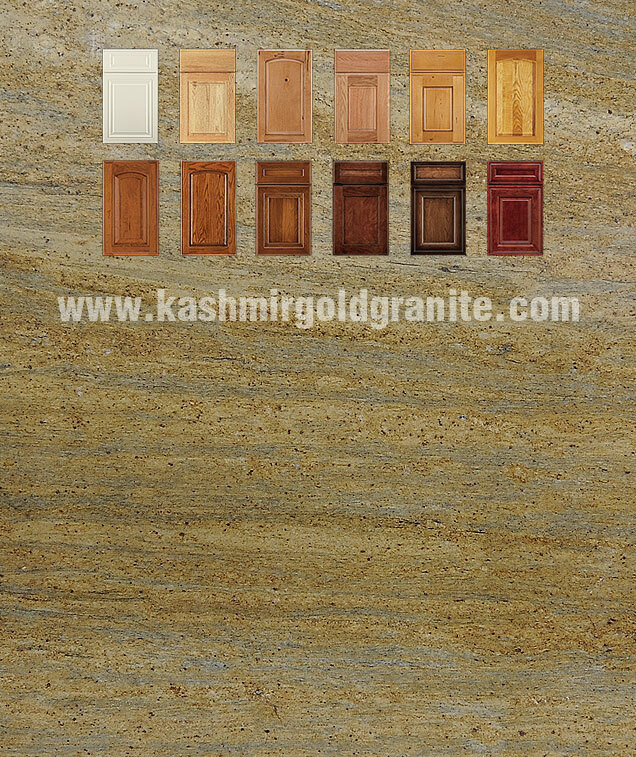 The mirrors in turn reflect the shining brown Kashmir granite walls.